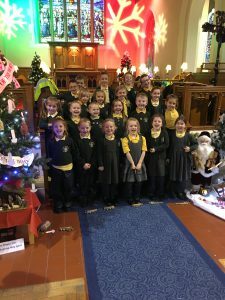 Foundation Phase Choir brave the weather to perform at the Festival of Christmas Trees – Ysgol Penmorfa, Prestatyn Buy School Uniform Online! 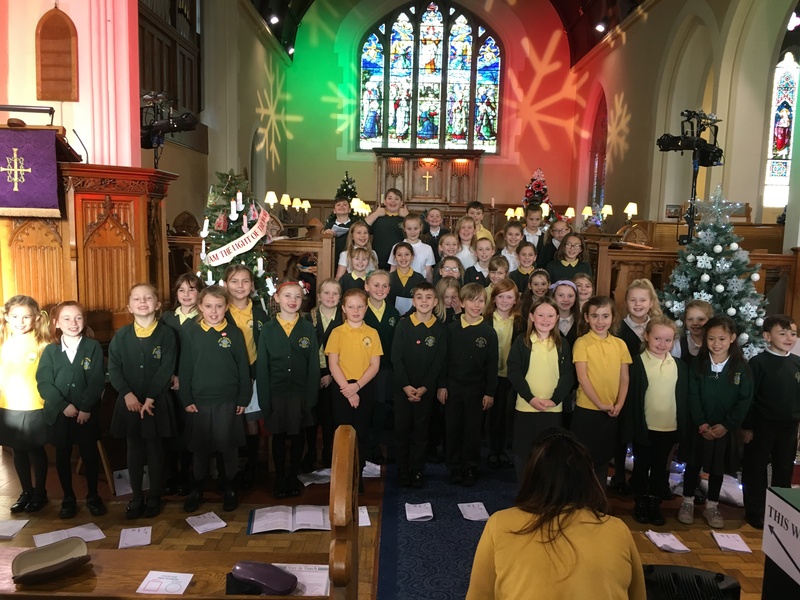 Both Foundation Phase and Junior Choirs performed this year at the Festival of Christmas Trees at the Parish Church in Prestatyn. 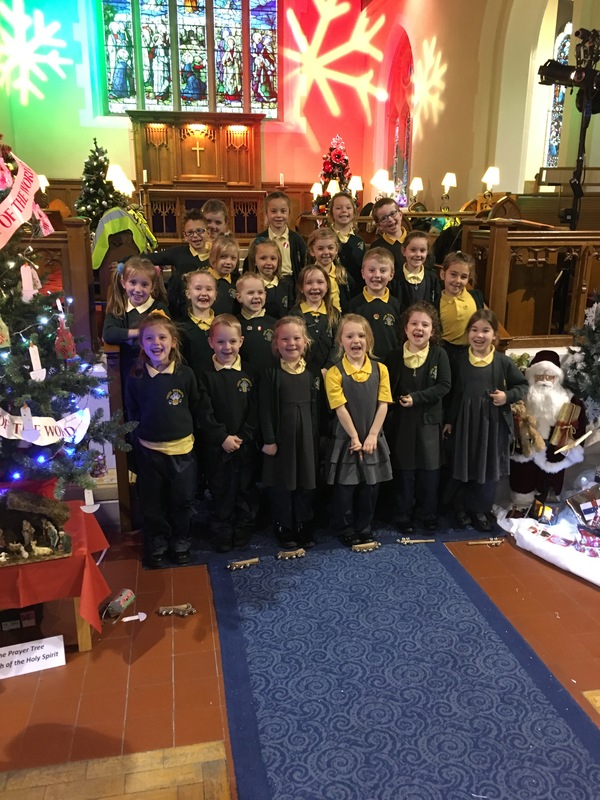 Despite the weather our Foundation Phase pupils walked to the church to perform their Christmas songs. 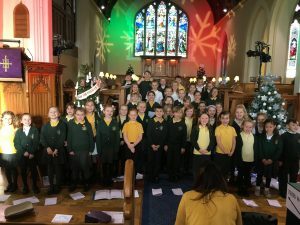 They were the opening Choir and really enjoyed the whole afternoon. The Festival has Christmas Trees from many groups and schools in the local area and our Early Years children have decorated our entry again this year. We have won our section in this festival for several years and are hoping for another success this year. Please go along to the Church and place your vote! Winners will be announced and prizes given on Saturday 26th November.